Back and front lanyard design to showcase the sponsors. T-Shirt design front and back. 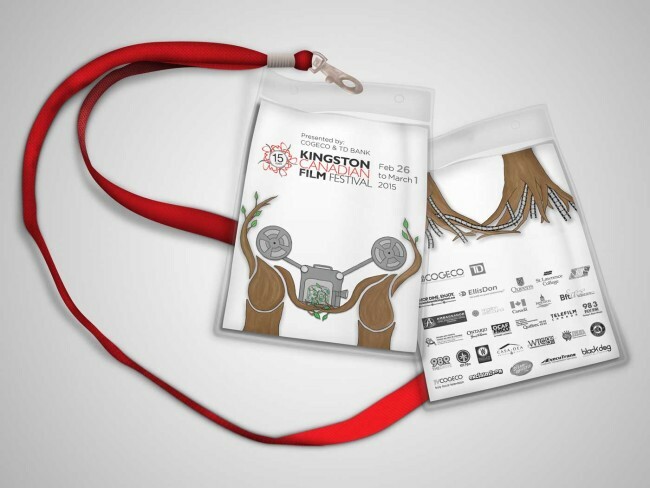 The Kingston Canadian Film Festival is celebrating their 15 year anniversary this year. 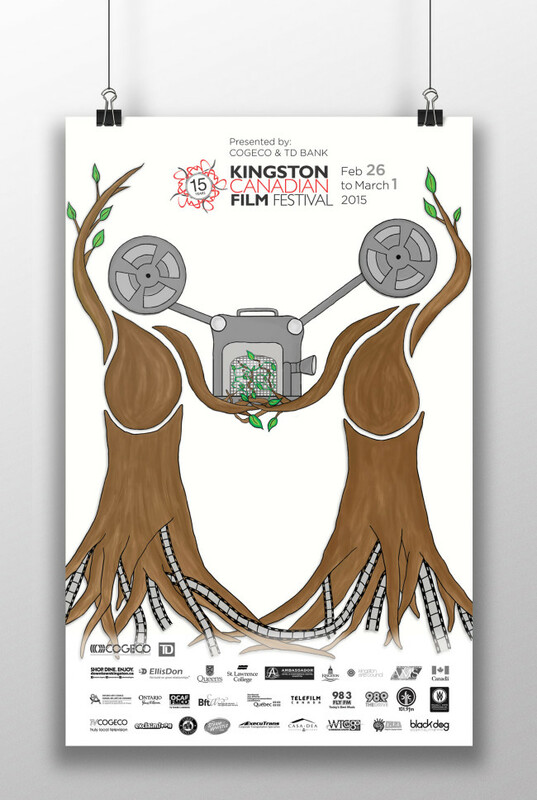 This set out a goal to create a unique and interesting poster design for the celebration of film this year. Film is an ever growing network, with a wide variety of genres. Keeping to an abstract and obscure approach leaves it open to the viewer. Each person who views the poster can take away their own thought about what film is to them. The design also speaks to the network that this has created in our community. Through the workshops, live music, and film screenings, it is a one of the kind chance for the audience to learn about what’s happening. Film can tie us together as a community, just like how the film festival has been bringing people together for 15 years. 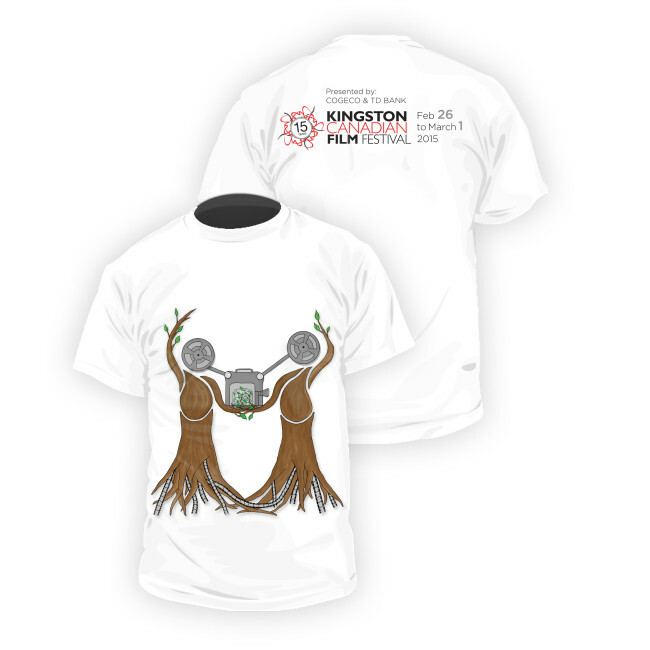 The tree design speaks to the home grown base that Kingston is. The bottom of the trees root down the figures, and aligns with the true roots of the festival, which are the sponsors.